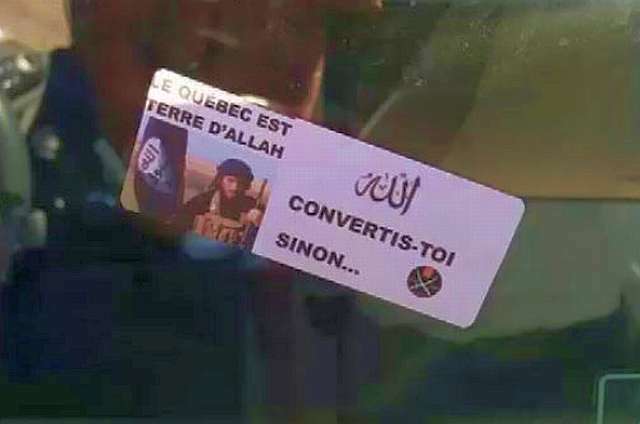 Dozens of cars in Repentigny were vandalized with stickers threatening Quebecers with consequences if they don’t convert to Islam. But these are the nicest people in the world - be sure to check out this website The Religion of Peace and scroll down to this list. This page contains a single entry by DaveH published on September 7, 2015 3:45 PM. The Bowe Bergdahl case gets interesting was the previous entry in this blog. More news from Montreal is the next entry in this blog.